Balchin Bros who were trading at 62 Queen’s Road, possibly in the early 1900s, clearly were pitching their sales at the Brighton visitor. There are lots of postcards, souveniers, ‘Brighton Crest China’ and ‘Useful presents’. Of course in Queen’s Road they were uniquely positioned to catch holiday-makers or day-trippers making their way from Brighton Station. 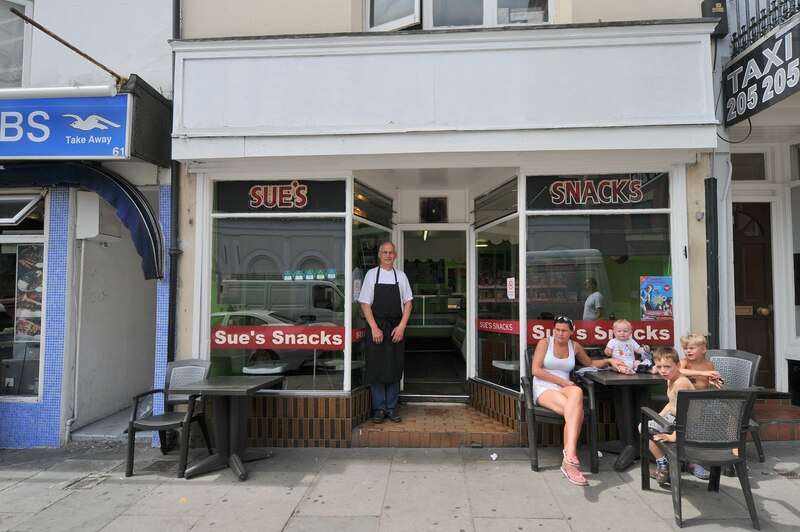 In 2010, Sue’s Snacks enjoys the same trade today; helped out by regulars from the local businesses and offices. Times change but as any self respecting estate agent will tell you, what is important is location, location. 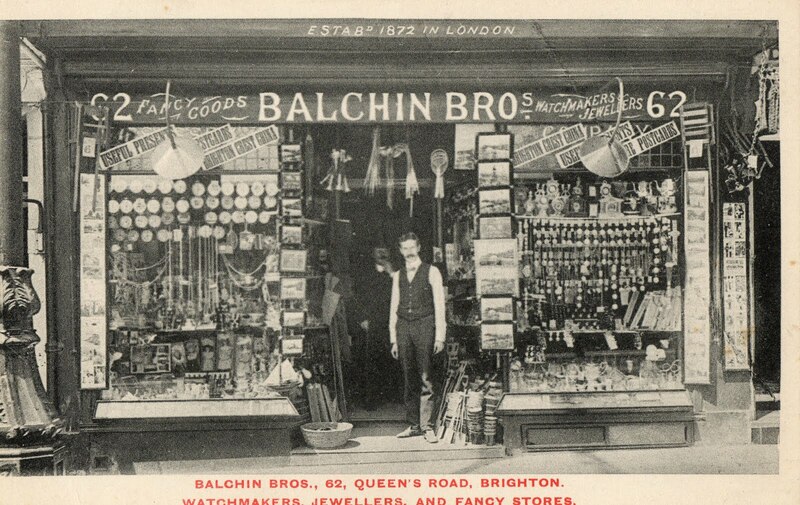 Despite being established in 1872, Balchin Brothers only occupied the premises at 62 Queen’s Road for a very short period of time (around 1904 until around 1910). Thereafter it became Ellis’s Fancy Repository. Doesn’t look half as interesting, does it? Never mind. Does anyone remember the cafe (Ideal Cafe?) a couple of doors up from this at No 66 Queen’s Road? It was owned by my uncle and aunt, John and Stella Pullen, in the 60s.